Beijing is the capital of the People’s Republic of China and is the nation’s center of government, economy, culture, and international activities. It has 18 districts and counties, with an area of 16,800 square kilometers and a population of 11 million. Beijing (meaning Northern Capital ) is a place of both ancient history and dazzling modernity. The city itself is traversed by freeways and hundreds of flyovers. High-rises adorn the length of this city making it a major metropolis within China. Beijing, however, is a city of bewildering juxtapositions. Despite the urban construction that makes it modern, Beijing has a long history. It’s history started as early as 500 000 years ago, when Peking Man lived there. It is an ancient cultural city that served for more than 800 years as the capital of the Liao, Jin, Yuan, Ming, and Qing dynasties. Beijing is now known for its many special places of interest. While the Forbidden City and Tiananmen Square represent the heart of Beijing, Beijing is a sprawling city without a defined central downtown. The Chaoyang District makes up the northeast section of Beijing. The Sanlitun area features a few embassies, many foreign businesses and a variety of bars as well as nightclubs. It is regarded as the embodiment of nightlife in the city. From the magnificent Forbidden City, with its stunning wealth of treasures, visitors can begin their journey through the streets and lanes of Beijing. Moving outside the center, one moves away from the hustle of daily life, and into the tranquil pace of ancient times and traditions. Palaces, parks, narrow alleyways and ancient sites such as the YongheGong, reveal a different side of Beijing. The Temple of Heaven’s vast grounds are a pleasure to visit year-round, and are enchanting during a snowstorm. Visitors can find refuge in the suburbs,in such places as the Summer Palaces and the Western Hills, which have been favored retreats since imperial times. While visiting Beijing, take some time to hike outside of the city. Excursions may involve a visit to the Ming Tombs or perhaps a simple picnic amid the historic ruins. The Great Wall, a site not to be missed, encompasses many small villages. Visitors should also consider traveling into the countryside and taking a glimpse of village life. Overall, Beijing is a city that is fascinating and is rich in cultural treasures. It provides visitors with a cosmopolitan view of urban modernity, as well as imparting a deep respect for times past. The Summer Palace’s is known as one of the most tranquil places in the city of Beijing. Lakeside gardens and elegant pavilions adorn this grand imperial palace. It was originally built as a summer home for the emperor. Nowadays the gardens, pavilions, bridges, and towers receive hundreds to thousands of visitors. A curious feature in Summer Palace is the marble replica of a Mississippi steamboat. Yonghegong Dajie A little touristy, but worth the journey for the colorful halls, mandalas and notable display of statuary. 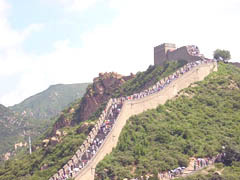 Well recognized throughout the world, China’s Great Wall is a symbol of the ancient Chinese culture and civilization. Originally the wall was built as a means of defending the city. Twenty-four emperors of the Ming and Qing dynasties lived in this palace city, officially making it the home of China’s emperors for five centuries. The Palace Museum, formerly known as the Forbidden City, lies in the heart of modern Beijing. Built in the early 1400’s, the structure is impressive with more than 9,000 rooms and halls containing many precious relics – making it the largest architectural palace in the world. The Ming Tombs are located one an area measuring about 40 square kms. The mausoleum houses 13 Ming emperors. Of the tombs only two are actually open to the public. 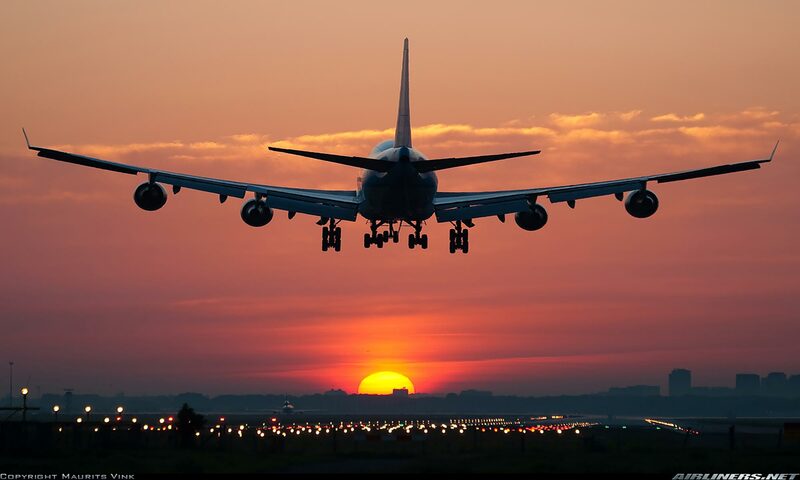 The most famous and perhaps the most thrilling is the Dingling. Curious enough, Dingling is practically an underground palace. Tian’anmen Square is located in the heart of Beijing. 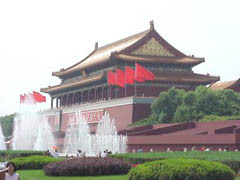 Tian’anmen Square is noted as one of the largest parks as well as one of the largest city squares in the world. The history of the square dates back to the Ming and Qing dynasties, when Tian’anmen was the front gateway to the imperial palace. Located on Tiantan Park, this dazzling temple built in 1420 is said to be the place where emperors if the Ming and Qing dynasties would pray to Heaven. As stories tell it, the emperors would perform ceremonies in honor of the god of harvests – this would be done in order for good harvests that season. The Temple’s primary structure has become a well-recognized symbol of Beijing. Yonghegong Lamasery was built in 1694. Its structure resides as one of the largest lamaseries in Beijing. A royal garden of the Ming and Qing dynasties, Jingshan Park was formed from the soil excavated to create the moat around the Forbidden City. It is one of the best places for a panoramic view of the whole city. The Ten Thousand Springs Pavilion is located at its summit. Another imperial garden, the Beihai Park was the imperial garden of the Liao, Jin, Yuan, Ming and Qing dynasties. It is noted as one of the oldest of the Chinese gardens. Yuanmingyuan was once an impressive imperial palace built during the Qing Dynasty. Unfortunately, all that remains of the palace is ruins. The grounds of Yuanmingyuan are well preserved and open to the public. The Beijing Zoo is the oldest zoo in China. Some 5,000 animals live there and features a wide variety of animals. 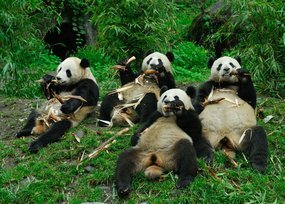 The panda house is the only place in Beijing where visitors can see giant pandas. Some of the animals that are featured are the golden monkey, the white-lipped deer, the red-crowned crane, and many other rare animals from all over the world. Located just off the northeast corner of Tiananmen Square, this museum displays more than 9,000 ancient Chinese relics, including bronze pieces dating back 5,000 years. The museum shares the same building as the Museum of the Chinese Revolution. This museum features cultural artifacts from 1919 to 1949. Beijing Amusement Park, in Longtan Park, has live entertainment, rides, a water-screen show, paddleboats, bumper cars and roller coasters. This international-class aquarium is great for the kids. The main attraction is a 140-yard-/130-meter-long moving walkway that swirls around underneath the main tank, with sharks swimming overhead. The museum focuses on such marine issues in China as the damming of the Yangtze River and the slaughter of sharks for shark-fin soup. Wax exhibitions and scenery depict episodes from the famous Chinese story A Journey to the West, featuring the monk, the pig, the monkey and the warrior. The largest of its kind in China, this museum contains fossils or specimens of almost all plants and animals found in China. Beihai Park has an 800-year history as the royal garden of the Jin, Yuan, Ming and Qing dynasties. The park is grand and sprawling, with some beautiful plantings, a lake and paddleboats for rent. Watery fun including a wave pool, simulated river, three slides and a “fast slippery dip” (a steep water slide). A sports complex provides bowling, squash, tennis, roller-skating, disco dancing, billiards and a sauna. Chinese Geology Museum displays minerals, gems and Paleozoic plants and plenty of animals. A great place for family fun! China’s national museum of art has permanent displays of works by Chinese artists and frequent shows by foreign artists. A great place to view the national museum’s collection of China’s leading contemporary artists. White Cloud Temple also known as Tianchang Temple. It is the largest Taoist temple in Beijing and the center of Taoism in north China.